The Aurora Enlite range of fittings is an outstanding budget range that would suit any house looking for easy to install, reliable fittings. 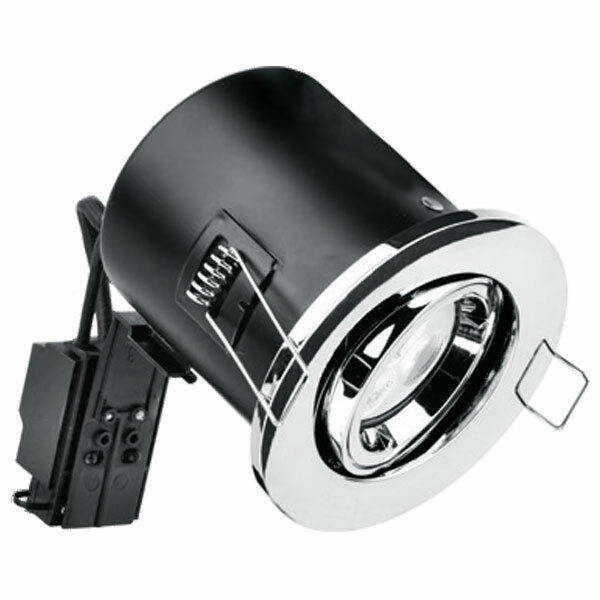 They come in 3 types – EN-FD101 (fixed downlight), EN-FD102 (adjustable downlight) and EN-FD103 (IP65 rated downlight). What makes the Enlite fittings so good? Aurora high quality – Aurora are well known for their quality. They have a standard warranty of 1 year but are extremely helpful if anything goes wrong and their technical department really know their stuff. You know what you are getting with Aurora and it is all good! Well priced, the Enlite fittings range from £4.05 – £5.65 exc vat per fitting (Fixed, Adjustable or IP65 sealed), compare that to the standard Aurora fittings that start at £7.39 exc vat for the most basic model. Twist and Lock lamp holders. The holders in the Enlite fittings are twist and lock GU10. The previous “budget” range from Aurora (the A2 range) used a spring system that can be very fiddly. These Enlite fittings have the same high quality twist and lock system that the flagship AU range of fittings have. Compact size. The size of the Enlite range is much smaller than the AU or A2 range. The recess depth on the AU range is 140mm. The Enlite range has a depth of only 110mm (for the EN-FD101) meaning it can fit into tighter spaces and is still fire rated. Each fitting is fire rated. This means that it will reduce the risk of fire by controlling the dispersion of heat. There is often not much difference between good quality downlights but for a budget light that looks every bit as good as a premier fittings and performs exceptionally well for the price, the Aurora Enlite fitting is the way to go.